When is running a U.S. Senate campaign a conflict of interest? When you’re the attorney general and you apparently use your power to advance your political position. 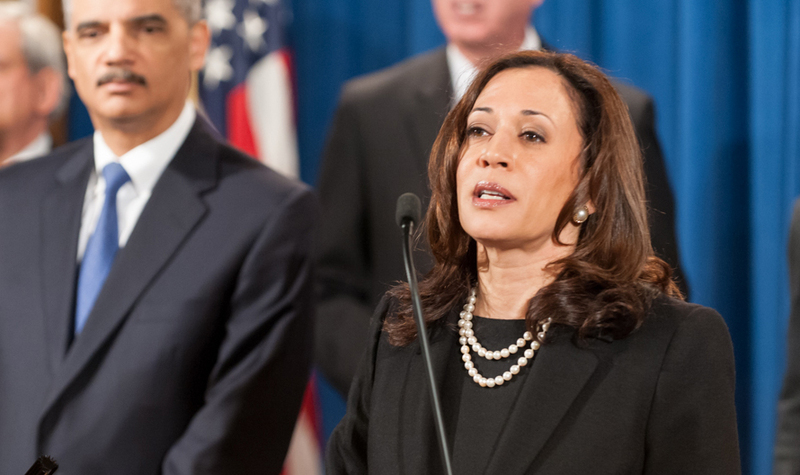 This is the case of California’s lead prosecutor, Kamala Harris, who, after ordering a raid of the home of Center for Medical Progress Project Lead David Daleiden, has been found to be an outspoken proponent of Planned Parenthood. It is not surprising that Harris would promote support for Planned Parenthood when she receives so much money from them. She is bought and paid for by Planned Parenthood, endorsed by NARAL and pro-abortion Emily’s List, and is clearly an enemy to pro-lifers. Planned Parenthood is now seeing the fruit of their donations, since she is running to their aid. Harris is also currently using her campaign website to promote support and funding for the abortion giant. Harris has a campaign petition that expressly exists to support Planned Parenthood. 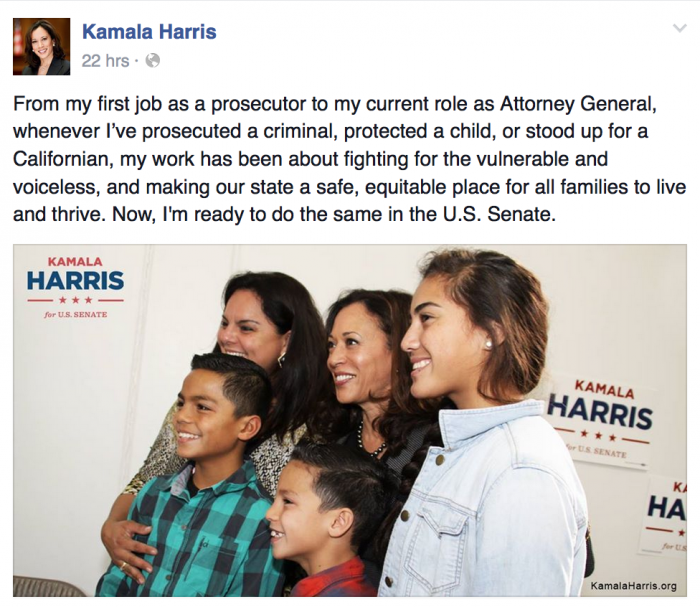 Harris is certainly a politician who wields a good deal of political power. 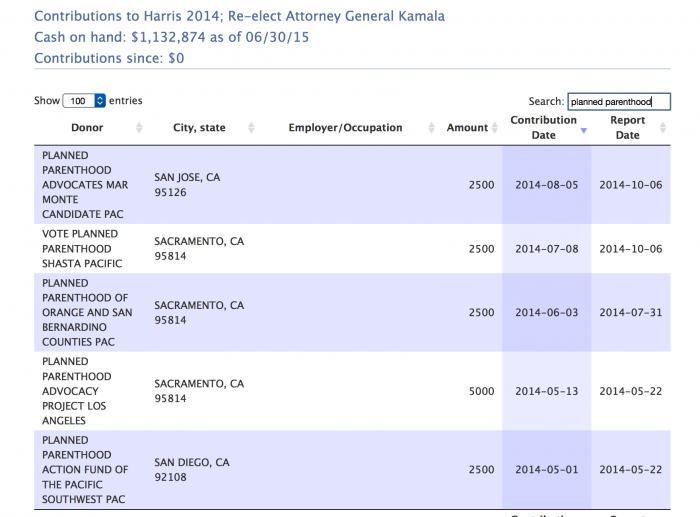 Her supporters include Disney, PepsiCo, Yelp!, and, most notably, Republican presidential frontrunner Donald Trump, who recently dropped $11,000 into Harris’ re-election campaign in the Golden State. With bipartisan support like this, Harris may feel empowered to pursue pro-lifers from the Pacific Ocean to the chamber of the U.S. Senate. As a representative for the entire state, Harris’ obligation is to serve the best interests of all. To hone in on a citizen journalist using free speech rights to expose criminal activity, while ignoring Planned Parenthood, StemExpress, and other implicated parties reveals a glaring bias. Live Action President Lila Rose responded to Harris’ investigation of Daleiden. Instead of investigating Planned Parenthood’s California abortion facilities for trafficking in baby body parts, covering up the sexual abuse of minors, and other potential crimes caught on camera over the years, Harris’s investigators searched the home of an investigative journalist who helped expose some of these heinous acts. Harris can’t even pretend to be objective in this case. She has a petition on her campaign website to collect signatures to defend abortion giant Planned Parenthood. And her radical pro-abortion positions are well known, including her sponsoring of a California law to force pro-life crisis pregnancy centers to tell patients where they can go to get abortions. Meanwhile, in a great move of irony, Harris insists she actually defends the “vulnerable and voiceless” in the state. The people that Kamala Harris defends in the state of California are the ones who line her pocketbook with blood money.